At $3500 (as of 11/6/06) the G35-AV660 is far from cheap. But for the ultimate notebook multimedia experience, it can't be beat. 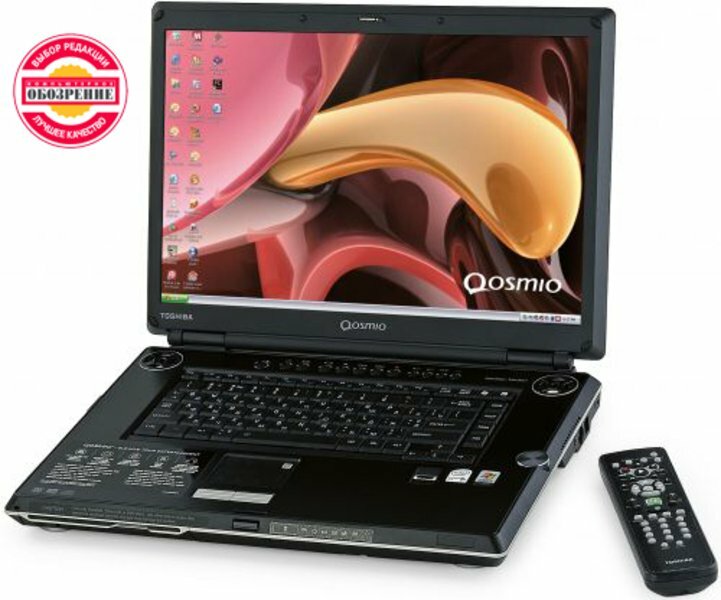 If hi-fi sound and TV viewing are your goals, this Qosmio laptop is the best game in town. A well-equipped, high-definition multimedia notebook with Core 2 Duo horsepower and a massive amount of storage space. The Toshiba Qosmio G35-AV660 is easily one of the most robust multimedia notebooks out there. If you’re looking for a top-shelf system with HD components and can afford the price of owning the latest technology, look no further. If you want to save money, though, the G35-AV650 may be the way to go. Bottom line: HD playback is much improved since Toshiba ditched InterVideo's software and went with its own. You'll have to decide if the faster processor and extra RAM are worth the $500 price increase. Pros: Smooth HD playback with Toshiba's proprietary software. IR receiver built into the laptop. Fast Intel Core 2 Duo processor. 2GB of RAM. Cons: QosmioPlayer does not support HD playback in preboot mode. Volume has to be cranked up when using Toshiba HD DVD player. Even more expensive than before. The good: Crisp display; complete set of A/V controls, ports, and connections, including an HD-DVD drive. The bad: Expensive; somewhat dim display; cramped keyboard and no separate number pad; bulky and heavy, even for a desktop replacement. The bottom line: The Toshiba Qosmio G35-AV660 continues to deliver the most complete multimedia experience available in a laptop, but at least one other laptop delivers similar features at a much lower price. T7200: Auf den Merom Kern basierender Doppelkernprozessor. Zur Zeit des Erscheinens in der Mittelklasse einzuordnen.» Weitere Infos gibt es in unserem Prozessorvergleich Vergleich mobiler Prozessoren und der Prozessoren Benchmarkliste . This weight is typical for desktop-replacement-laptops with 17 inch displays wich are intended for a stationay use. This device is inappropriate for carrying.